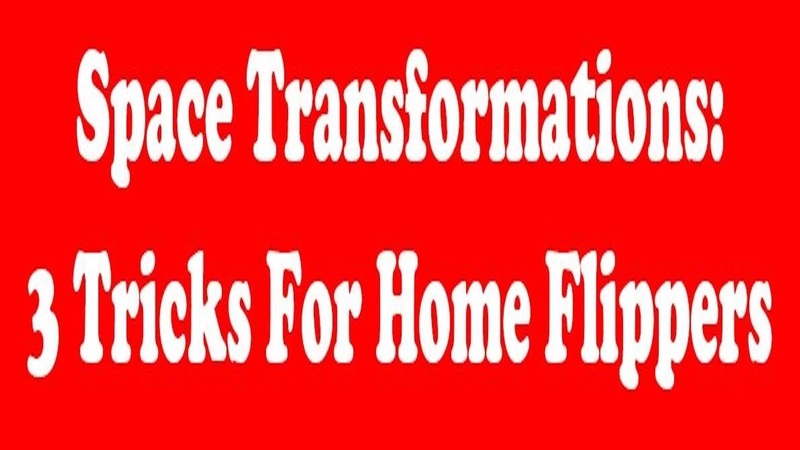 Space Transformation: 3 Tricks For Home Flippers! Some home flippers use short-term financing to buy a house in need of renovations, but it can have a higher interest rate than other types of financing. It also costs a flipper money in the form of daily interest charges. Other house flippers use their own cash reserves to buy a property. One idea that works well when flipping is to create an open floor plan. Older homes that likely need more renovations may have a closed-off floor plan. This can make the home look smaller than it is, and can create a claustrophobic ambiance that may turn off some buyers. Depending on the home that you invest in, creating an open floor plan may be as simple as tearing down the wall dividing the kitchen and dining room. For added emphasis, you can also tear down any dividing walls between living spaces and the dining room. While you're not adding square footage through this process, an open floor plan feels bigger to a buyer and may be more appealing. In many cases, this is a cost-effective way to generate incredible results. To transform the space of your investment home, analyze the natural light. Some older homes were built with minimal or small windows, which result in a dark and gloomy interior that is not welcoming or appealing to buyers. Consider enlarging existing windows to bring in more natural light. You can also add a few windows or a skylight in the bathroom, kitchen or other rooms that are commonly dark. When you incorporate natural sunlight into a room, you transform the space by making it feel more inviting. Before you finalize your renovation plans for your next house-flipping project, you should spend time researching competing listings and past sales. The best way to do this is to give me a call and let me find the comparable properties for you. You could even visit a few of the currently listed homes to get a better feel for market conditions. When transforming a space, you need to at least bring the home up to a level that makes it directly competitive with other listings in the market. It can also be advantageous to go a step above the current market conditions. This can make the home more appealing for a faster sale; however, avoid making renovations that are considerably above market-level. While the home may be very desirable to buyers when you do this, there is a strong chance that you may price the home above market rates. This can make the home too expensive for some buyers. The condition of your finished project is critical to your ability to sell the property quickly. Many home flippers focus on cosmetic features when renovating a home. For example, they may pay attention to paint colors, countertop materials and flooring options. These are all important elements to focus on, but other factors are equally important if you want to benefit from a quick sale. As you look for new homes to flip, and as you plan the renovations, turn your attention to these important transformation tips. By doing so, you can create a finished project that sells more quickly.